We remove, repair and rehouse all types of unwanted items and furnishings. Any item collected which is deemed not viable for re-use will be responsibly dismantled and components will be re-used or recycled in the appropriate way. Last year we achieved a rate of 97.8% of items collected being diverted from landfill. All items collected for re-use are checked by our in house safety testing for functionality and viability and (in the case of electrical items) are PAT tested before being passed to the end user. We export goods to Africa and nations in crisis. We help and support local charities and new start-up businesses with goods and services. If collected items cannot be economically re-used, they are processed to their component parts and recycled. Nothing of use is wasted. Even old doors and mattresses are stripped. All work and prices confirmed before work is started. Written estimates and recommendations given. Photographs before and after provided on request Payment only required within 28 days of invoice. Our staff have undergone a variety of training in manual handling and safe working practice. Licenced by the Environmental Agency as carriers of waste- Registration Number CBDU120746. 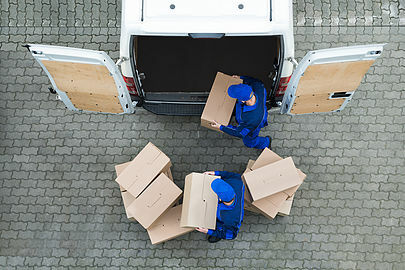 We hold Goods in Transit Insurance of up to £50,000 per load which can be increased on a job by job basis if required. Excess of £1500 payable by client.